You can see this list by clicking here. The auction runs through July 27th. Happy bidding! It’s time for another Toku Toy Box prize package reveal! We recently revealed our Toku Toy Box Kamen Rider Prize Package and we’re here today to reveal the Power Rangers prize package! Special thanks to Josh, aka @KentuckyJam on Twitter, for donating one of our items to this year’s Toku Toy Box Power Rangers prize package. We have even MORE prizes to reveal, we’re just unable to do so at this time so stay tuned! Check out the video reveal below! For details on how to enter for a chance to win any of our Toku Toy Box prize packages simply click here. Please be sure to like our video and subscribe to our YouTube channel as we have tons of cool things in store for all of 2018! Attention Power Rangers fans! The moment you’ve been waiting for is here – the Power Rangers Movie is now available to own on DVD and Blu-Ray! You can find different versions available at your local Wal-Mart, Best Buy, and Target stores as well as your digital copy still waiting for you online now. Celebrate the movie that fans waited 25 years for. Help convince the suits that we not only want, but NEED, a sequel to the Power Rangers Movie. Sit down and remember – Together We Are More!! You might be asking just how important the Chinese premier is to the success of the Power Rangers movie? The live-action Warcraft movie which came out last year only made $160 million domestically, but the Chinese market prevented it from being a total flop bringing in $220 million in that region. 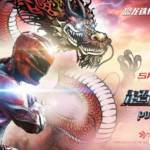 So while the Power Rangers movie may have had lackluster sales domestically, the film could make it’s money back with the Chinese premiere. The numbers are in for the opening weekend for the new Power Rangers Movie. The Power Rangers worldwide opening weekend total is at $59.2 million dollars – with $40.5 million from a strong domestic release, and $18.7 million from a “muted” international release. The movie cost roughly $100 million so a couple more strong weeks could help push the movie to break-even status. Fans will be watching with anticipation as the movie surpassed their expectations and a sequel is something many fans want to see happen. For the full article, check out the Hollywood Reporter. Twitter user @tavion_jackson revealed today that the brand new Power Rangers Movie Legacy figures are in stores now but cannot be put on shelves until February 15th. What was unknown until now was that Alpha 5 is going to be the sixth figure in the wave. The Power Rangers Movie Legacy figures will cost $19.99 and come with a “Build a Megazord” bonus, so you can create the Power Rangers Movie Megazord when you collect the wave. Are you going to pick these up? Sound off in discussion! Did you get everything you wanted for the Holidays? If not – check out what’s new at our sponsor BigBadToyStore.com! Here’s a hint – a lot of Power Rangers Ninja Steel toys are in stock now (including villain figures! ), as well as a whole bunch of Power Rangers Movie toys! Check it out below! Don’t forget to take advantage of the “Pile of Loot” shipping method – your items go in to a big box and wait to ship until you tell it to – and altogether for one low price! You can save hundreds of dollars! For the best online customer service shop BigBadToyStore.com today! Check out the brand new newsletter for BigBadToyStore.com to see what other HOT items have come in and gone up for pre-order! Click “Read More” to check out the latest! We all knew it was coming and now we have a couple of images that prove it. The Power Rangers Movie Funko Pop Figures revealed this evening via Instagram user @ryespop. In hand was the Movie Red Ranger, with other releases including Movie Black Ranger, Movie Blue Ranger, Movie Yellow Ranger, Movie Pink Ranger, and Movie Rita Repulsa. Check out the images by clicking the title of the story. Are you going to collect these or add them to your collection? Sound off in our discussion thread linked to the story! › Companies: Funko › Characters: Movie Red Ranger, Movie Pink Ranger, Movie Black Ranger, Movie Blue Ranger, Movie Yellow Ranger... › Toyline: FunkoPOP! 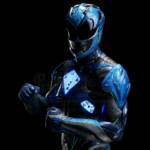 The Power Rangers Movie is getting a sequel – kind of! Announced today via IGN, BOOM! Studios will be releasing a tie-in comic sequel to the upcoming movie in March. The title of the book, “Aftershocks“, will follow the adventures of Jason, Billy, Zack, Trini, and Kimberly after the events of the movie. The comic is written by Ryan Parrott and the artwork is by Lucas Werneck. Power Rangers Aftershock will release March 29th, 2017 for $14.99 and is 96 pages in length. Check out both the Movie and Illustrated covers by clicking the title of the story. Join in the discussion by clicking the “Discuss on TokuNation forums” link! Today is the official “launch day” for the Power Rangers Movie toys! 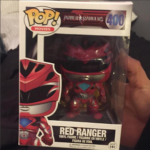 And as fans rush out to their local Toys’R’Us stores to grab themselves some new Power Rangers Movie toys, RangerNation.com has shared some of the upcoming toy images. We get our first look at the 5″ Movie figures. Red Ranger comes with his Power Sword, while Blue, Black, Pink and Yellow come with … blue fire-effect fist weapons. At this time, it’s hard to say whether or not they will have their traditional weapons like the Red Ranger or not, but some fans are expressing disappointment on social media. Also shown is Alpha 5. We also get our first look at the Movie FX Red Ranger mask, complete with sounds from the Red Ranger in the Power Rangers Movie. Head over to RangerNation.com for the official reveals. Images in this story are from Power Rangers NOW, who managed to find the retail-version images of these upcoming figures. Join in our discussion – are you going to pick up the new toys? Sound off!